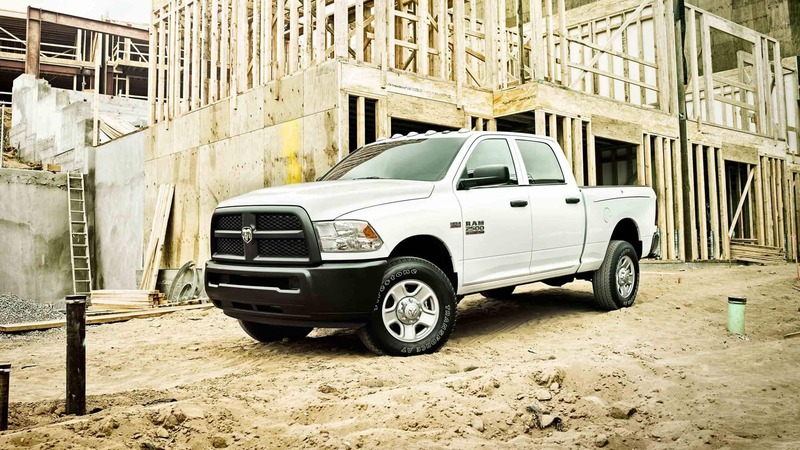 The middle offering in the 2018 RAM truck models, the 2500 has enhanced power and performance to complete those heavy duty jobs with a comfort you wouldn't expect out of a half-duty truck. 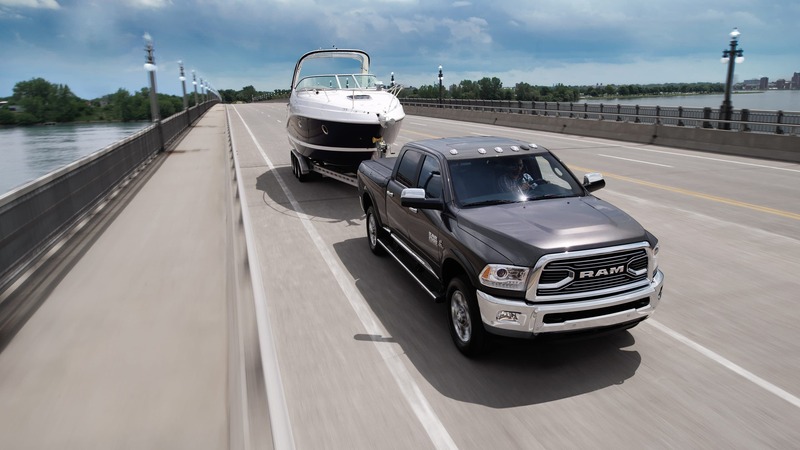 Impressive towing, payload, and passenger capabilities make this one of the most flexible trucks on the market today, swinging between your professional and private life needs with ease. This is a big truck for those big jobs, with unique perks found only within the RAM 2500 such as the only offered manual transmission within this power and weight class, and possessing a luxuriousness to the interior you won't find in another pick up thanks to the addition of the Limited Tungsten trim. Configurations have a limitless feel thanks to the three cab styles, two bed lengths, three engines, two transmissions, and seven trims: The Tradesman, SLT, Big Horn/Lone Star, Laramie, Laramie Longhorn, Limited, and Power Wagon. What powertrains can I get in the 2018 RAM 2500? The 2018 RAM 2500 jumps right to great V8 power, coming standard with a 5.7L HEMI that provides 383 horsepower and 400 lb-ft of torque. The gas fueled engines come with a six-speed automatic transmission, equipped with a variable valve timing system that optimizes torque and maximizes the towing capabilities to 13,890 pounds. Payload, meanwhile, can be up to 3,060 pounds. Available for upgrade, the 6.4L HEMI V8 raises capabilities to best-in-class gas fueled 16,320 pounds towing capacity with a maximum payload of 3,990 pounds thanks to its best-in-class gas fueled 410 horsepower and 429 lb-ft of torque. Some jobs just need more power, though.For those who need greater torque, the 6.7L turbocharged diesel fueled inline six-cylinder engine. 800 lb-ft of torque is the crowning achievement to this beast's engineering, providing the pull that can easily manage up to 17,980-pound trailer weights and payloads up to 3,160 pounds. This engine comes with an optional six-speed manual transmission instead, and features exhaust braking for added stopping power for those big loads. All models come in either two- or four-wheel drive. What features are available in the 2500? 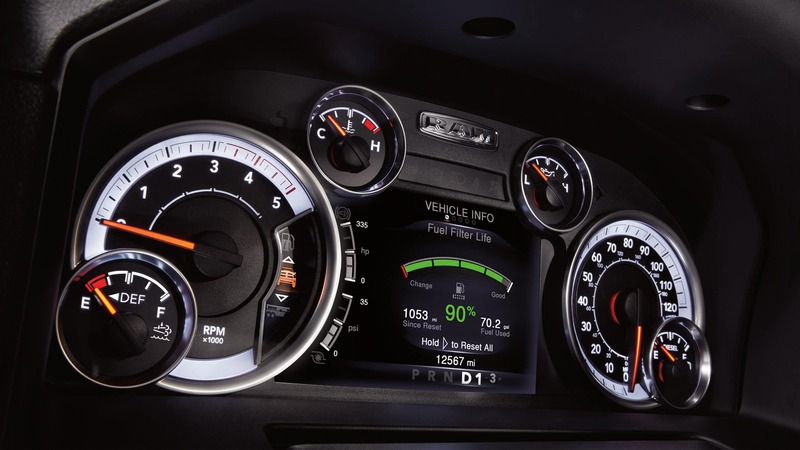 Latest updates within the 2018 2500 have included a rearview monitor, remote exterior switch operated LED bed lighting, and a new Fleet Telematics Module for tracking your business' efficiency and vehicles' performances. The Uconnect compatibility is improved with a newly available high-resolution 8.4-inch touchscreen with optional Wi Fi, pinch-to-zoom navigation, and voice recognition for hands-free operation of phone and music functions. The interior carries through exceptional comfort and functionality. 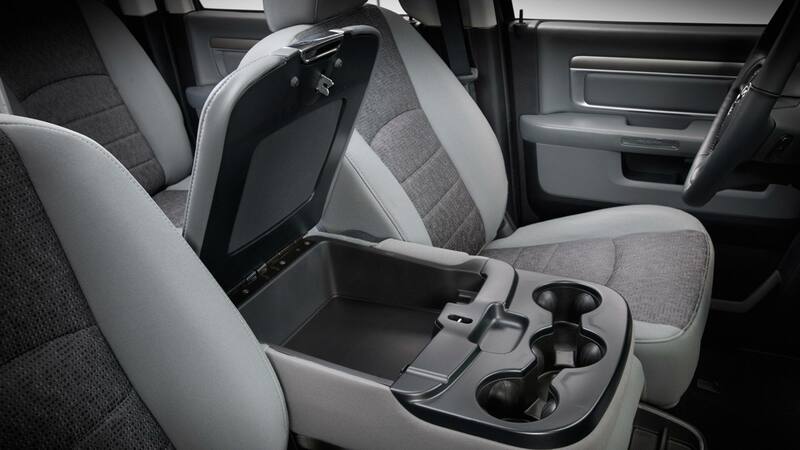 The center storage console is truly gargantuan, large enough to fit a laptop or a set of hanging files. 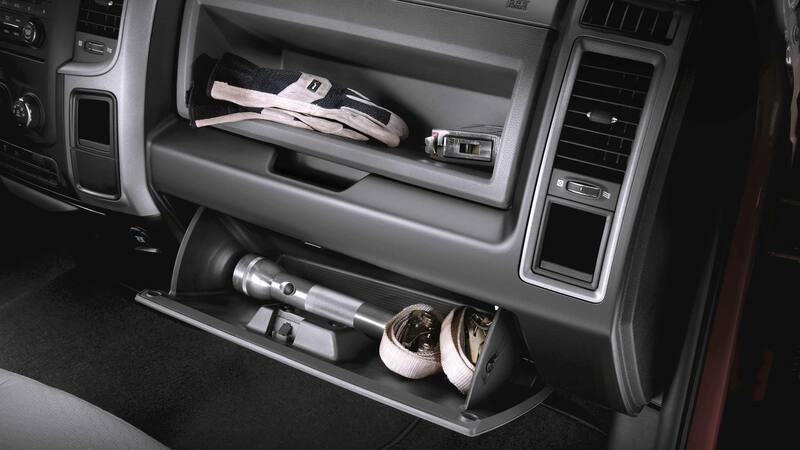 Additional storage is available within the double-stacked glove boxes, behind the foldable rear seats, and within convenient under-floor storage compartment spaces. 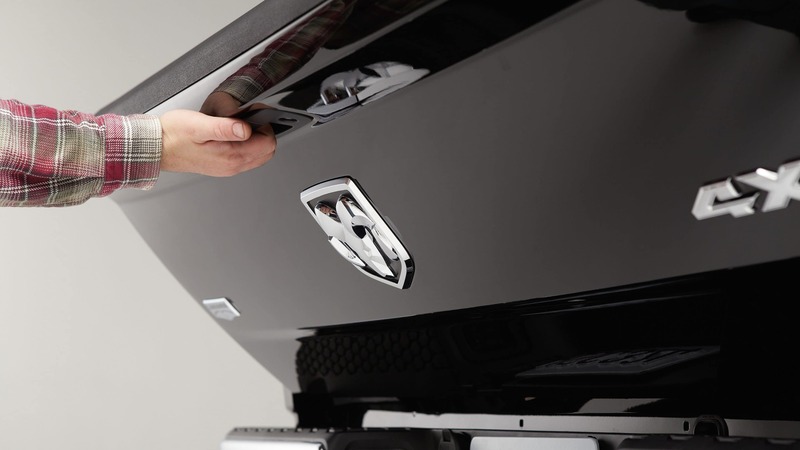 For a Heavy Duty vehicle, the interior and exterior are hardly scarce on quality features and variety. Stepping up from the 1500, this pickup has an exaggerated grille and dual-rear-wheel-axle option that brings on the tougher, more muscular appearance. Cab choices include Regular two-door cab, interlocking four-door Crew Cab, or the full-four-door Mega Cab option. Bed length can be either 6'4" or 8' long. Tell me about the safety and warranties. 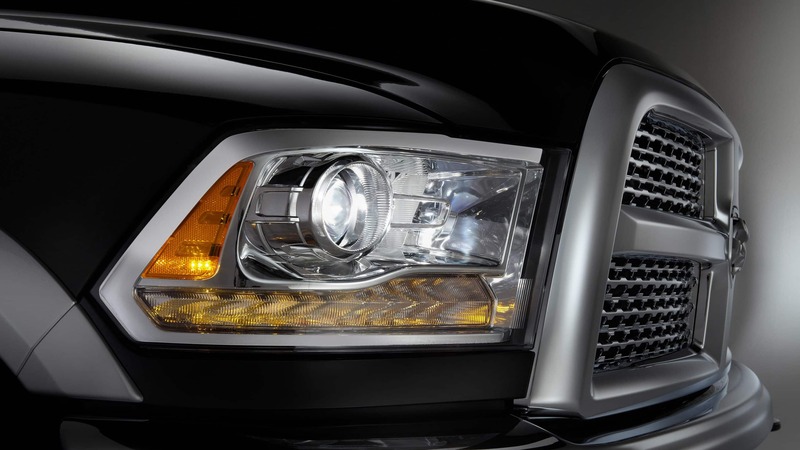 Safety starts at the core of the RAM 2500. The hydroformed frame incorporates strength enhancing crossmembers, built with 98% high-strength steel to protect drivetrain, powertrain, and passenger cabin. Six airbags come standard, along with a host of electronic-stability aids, such as speed control, roll mitigation, hill ascent/descent assist, and more. RAM has utmost confidence in the builds of their trucks, backing the 2018 2500 with a gas-powered unsurpassed five-year/60,000-mile powertrain warranty or a diesel-powered unsurpassed five-year/100,000-mile powertrain warranty. 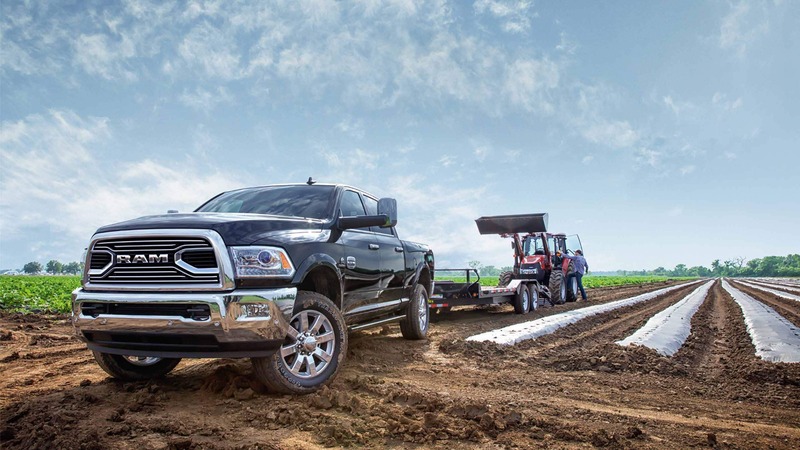 The 2018 RAM 2500 is for the big haulers and the hard workers who need a vehicle that can handle heavy duty tasks without making for an uncomfortable utility-only vehicle. The luxuriousness and creature comfort features even in the base model make the RAM stand out from the work-minded crowd. Check out all the offerings in our inventory lot today!